The PHCC of Long Island recently sent letters to several newly elected New York State officials, including Governor Andrew M. Cuomo, to raise the issue of a statewide plumbing license. Click here to read that letter. Congressman Tom Suozzi (D – Long Island, Queens), Nassau County Executive Laura Curran, Suffolk County Executive Steve Bellone, and other leaders from the business community, labor, local community colleges, BOCES, and workforce development boards announced the formation of the Long Island Apprenticeship & Workforce Development Task Force. The Plumbing, Heating and Cooling Contractors of Long Island (PHCC-LI) have issued a frozen pipe alert for Long Island. Below freezing weather is expected over the next week across Long Island. The members and leaders of the PHCC-LI warn homeowners and building maintenance personnel about the potential for frozen pipes which could lead to pipes bursting. Broken pipes can cause expensive, dangerous and severe flood damage. PHCC-LI urges homeowners to take immediate and cost-effective preventative steps. Be sure to check out today's issue of Newsday! 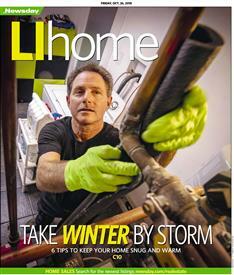 PHCC of LI Member, Ed Schoen made the LI Home cover story, "Take Winter By Storm". The PHCC of Long Island was a proud supporter of the Boy Scouts of America Theodore Roosevelt Council on the occasion of their 9th Annual Design, Construction & Real Estate Dinner. Thank you to everyone who attended last night's meeting! It was a great turnout! We had informative presentations and had the honor of presenting certificates of appreciation to our members who volunteered for the Tunnels to Towers project. We will see everyone in October! PHCC joins forces with Tunnel to Towers Foundation to help build new Melville Home for Army Cpl. Chris Levi. The Plumbing Heating and Cooling Contractors of Long Island (PHCC-LI), an organization comprised of Long Island's professional licensed plumbing heating and cooling contractors, helped to construct a new home for U.S. Army CPL Christopher "Chris" Levi (Ret. ), who lost both legs and suffered major damage to his right arm and hand as a result of an IED explosion. Hunter Botto knows a thing or two about plumbing. As a licensed master plumber for more than 38 years, Botto has served as president of Botto Brothers Plumbing & Heating of Hicksville since 1993. Now on the Board of Directors for Plumbing Heating and Cooling Contractors of Long Island (PHCC-LI), his mission is simple: to maximize the efforts to bring more individuals into the field. As high school and college students consider their career path, those who are not looking to attend higher learning institutions should consider a trade school opportunity, as the services and skills in those rewarding industries will be in demand for years to come. Newsday published a article on June 20, 2018, titled "Tightening the rules - Comprehensive code change clamps down on sharing of plumbers' licenses". North Hempstead's building department can now revoke a plumbers licenses if its inspectors find that a plumber has illegally shared their license with someone. 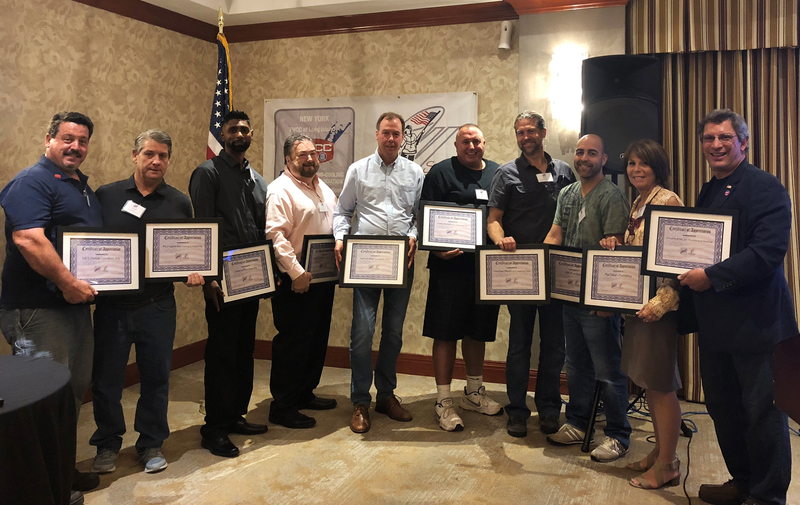 The Plumbing Heating and Cooling Contractors of Long Island (PHCC-LI), an organization comprised of Long Island’s professional licensed plumbing heating and cooling contractors, has announced efforts to bring more individuals into the profession through the New York State PHCC e.Learning Apprentice Academy. The e.Learning Apprentice Academy is an innovative, non-traditional method for prospective plumbers to receive their foundational apprenticeship-related instruction. Young people interested in entering this profession or those interested in changing their careers simply need to apply online to begin the process. Make sure plumber is licensed and insured. Check out yesterday's edition of Newsday for our latest letter to the editor - "Make sure plumber is licensed and insured." We are pleased to announce that, after months of hard work and PHCC influence, the Town of Hempstead has unanimously passed a bill strengthening the laws and rules that relate to the use of professional master plumbing licenses, specifically the improper "lending out" or misuse of such licenses. Our members are hard at work today, volunteering for Tunnel to Towers Foundation as they build a home for a well deserving local veteran! Help us build a smart home for a hero! The Stephen Siller Tunnel To Towers Foundation builds mortgage-free smart homes for our most catastrophically injured service members. Each home is custom designed to address the unique needs of each individual. These homes enable our most severely injured heroes’ live better, more independent lives. As an organization, the PHCC of Long Island has decided to volunteer time to help the Foundation build a smart home in Melville, NY. The truly deserving hero who this home is being built for is Christopher Levi. 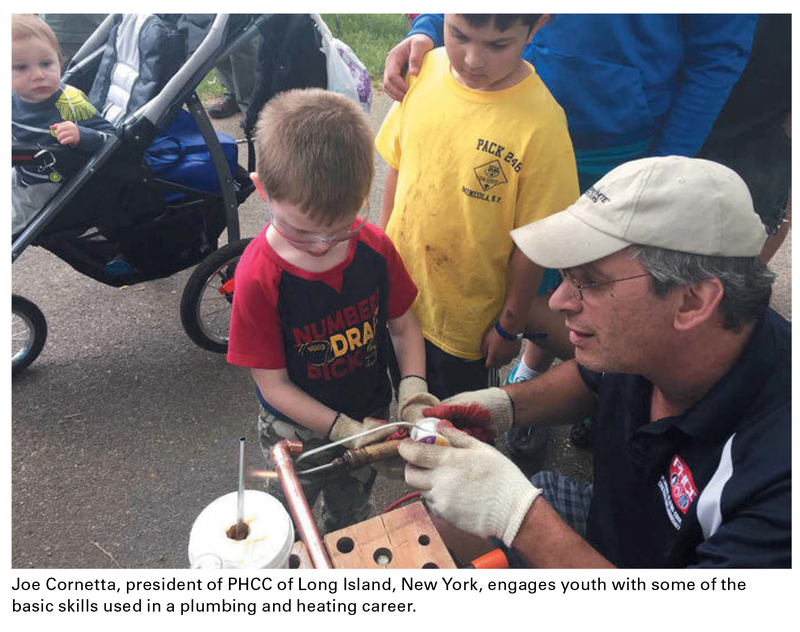 How a simple invitation by one PHCC Chapter spurred widespread media coverage on the plumbing shortage... and has already resulted in some job placements! PHCC LI members were there when the Hempstead Town Board announced that they would be proposing new legislation that would dissuade master plumbers from sharing their licenses with those who have not gone the Town’s vigorous testing process. Joseph Cornetta, PHCC LI President, spoke at this announcement to express that the PHCC LI and plumber's unions are united with Councilwoman King Sweeney to fix this problem of unscrupulous contractors and plumbers who have been “lending out” their licenses to unqualified, under qualified or improperly licensed individuals. According to Newsday's article titled, "Judge blocks town's requirement for contractors", a federal judge has stopped Oyster Bay from enforcing a law that forces contractors on large projects to meet new apprenticeship program requirements. Please click here to read the full article. PHCC of Long Island has been featured in Newsday and CBS, in regard to the growing shortage of plumbers on Long Island. Our board members were able to offer some insight into this shortage and what needs to be done. Be sure to check out the articles!